The Fleurys Music School offers a warm and welcoming environment where musical potential is nurtured. Music students of every level will leave their lesson feeling accomplished, proud of themselves and have a growing passion for music. Enthusiastic teachers encourage creativity, dedication and an excitement of music making. This is a place where music is celebrated and students can flourish. Originally from London, Sally studied at The Royal Academy of Music where she performed in the presence of Diana Princess of Wales. After graduating with an honours degree presented to her by Lord Yehudi Menhuin, she relocated from England to Australia in the late 90s. Sally began her career as an orchestral musician working first with the West Australian Symphony at age twenty-two, then the Sydney Symphony Orchestra and The Australian Opera and Ballet Orchestra. Sally’s regular appearances as cellist for television shows such as The Voice, Australian Idol and X Factor helped carve out what are now regular spots for young string players in the business. During her years playing on TV, she found herself accompanying some of the biggest names in the Australian and International music scene such as Liza Minelli, Lionel Richie and Michael Buble. 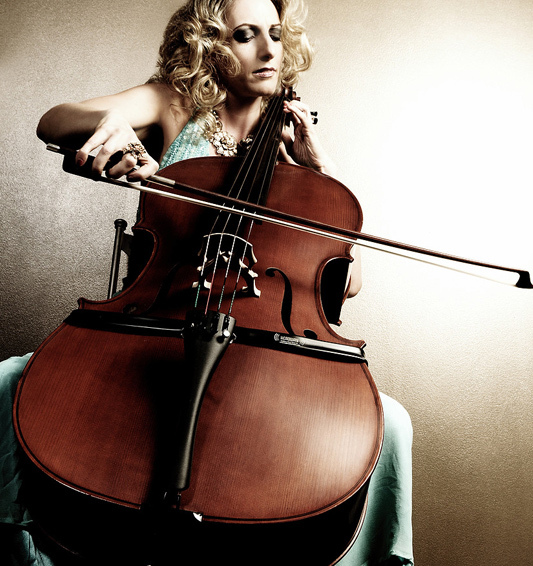 With her ability to slip effortlessly between classical and modern music, ABC Classics signed Maer to their label in 2005 as “Cello Diva” and produced her first album, ‘Bed of Roses’ accompanied by the ABC orchestra. Since then Sally has had another 2 solo albums with ABC Classics; “Celtic Cello” in 2016 and most recently “Cello at the Opera” (2017) which has reached number 1 on the Classical Aria Charts and No. 1 on the Australian itunes charts. Maer’s recordings are aired regularly on Classic FM. Sally had a once-in-a-life-time invitation to perform at the Dawn Service at Anzac Cove in Gallipoli 2004 with The Peter Sculhtorpe String Quartet and didgeridoo virtuoso, William Barton. Here, she was talent spotted by the manager of Popera sensation ‘Amici’, and was invited to perform as their guest act on their Australian tour in 2005. Sally Maer performed her solo Cello Diva show in all the major concert venues across Australia including the Sydney Opera House Concert Hall, the Melbourne Hamer Hall, Canberra Theatre, Queensland Performing Arts Centre Concert Hall, Newcastle Civic Theatre, Adelaide Festival Theatre and at the Famous Speigeltent for the Melbourne International Arts Festival. She has also headlined on the Queen Mary II during a period of working as a guest entertainer on luxury cruise ships in between her job as Delta Goodrem’s touring cellist. In parallel to her performing career, Sally has been a dedicated teacher since the age of 17, passionate about getting young children to learn an instrument. She studied Art of Teaching whilst at the Royal Academy of Music and has a teaching diploma in addition to her Honours Degree. Maer taught the cello at Sydney Grammar School for 10 years before training to be a Kindermusik teacher. She currently teaches the cello at Pretty Beach Public School, the Central Coast Grammar School as well as at her own practice, The Fleurys Music School which she and husband, JP Fleury, founded in 2013. It has been one of the couple’s life-long dreams to have a thriving music practice of their own. They also are the creators of the pre-school music program, ‘Maestro Possums’, running music classes for babies up to age four, which is the age when most of the children who’ve come through the program begin learning an instrument. After making the Central Coast home in 2013, Sally has formed a warm relationship with the local symphony orchestra, the Symphony Central Coast, and performed the Elgar Cello Concerto accompanied by the orchestra. She also featured as a soloist at a special opera extravaganza concert, “Opera in the Arboretum” in with David Hobson and Sally-Anne Russell. JP Fleury hails from Montreal in Quebec. He graduated with a Music Diploma from Cegep de Drummondville, and later in 2007 he extended his music studies at Humber College in Toronto. As a young adult, JP’s first major performing experience was at The Montreal International Jazz Festival which propelled him into a music career. He travelled the ocean for a decade as a show band leader playing sax, clarinet and flute on luxury cruise ships for the Holland America Line. In 2010, JP made the transition from leading the band, to performing as a headline act with his now wife, Sally Maer, as ‘The Fleurys’. The couple were invited to perform as guest entertainers on the world’s top cruise lines such as Crystal and Cunard including performances on the Queen Victoria and Queen Elizabeth, with JP arranging the duo’s music for both performing and recording. On arriving back in Australia, The Fleurys took their duo show all over the clubs of NSW including Campbeltown RSL, Mingara RSL, Everglades Country Club, Bankstown RSL and Petersham RSL. The couple also embarked on a tour of Queensland performing in all the major Theatres including Twin Towns Resort and Empire Theatre as a guest act for “Back to the Tivoli” productions run by Wayne Cornell from the Australian vocal harmony group ‘The Delltones’. In the short time JP has become an Australian, he has performed live on ABC radio, played principal sax in the Sydney International Orchestra for a series of Neil Diamond tribute shows with Peter Byrnes and also plays in Jenifer Green’s Shirley Bassey show. He performs regularly with jazz pianist Rodrick White and French singer Patricia Segui including a performance with them at Sydney’s famous ‘Foundry 616’. JP has recorded for The Voice finalist Alex Gibson at Crash Symphony Productions, and for Scottish country hall of fame singer, Jackie Storrar. As Sally Maer’s musical director, he co-produced and performed in a sell-out concert at the Central Coast Conservatorium in 2014. JP features on Sally’s recent “Celtic Cello” album produced by ABC Classics which is aired frequently on Classic FM. In 2013, JP and Sally founded ‘The Fleurys Music School’. As a dedicated teacher as it has been JP’s long term dream to have his own thriving teaching practice, passing on his love of music to the next generation. Committed to introducing families to music, he also co-created ‘Maestro Possums’ which offers pre-school classes. As a trained Kindermusik teacher, JP runs these classes for parents with babies and children up to age four. 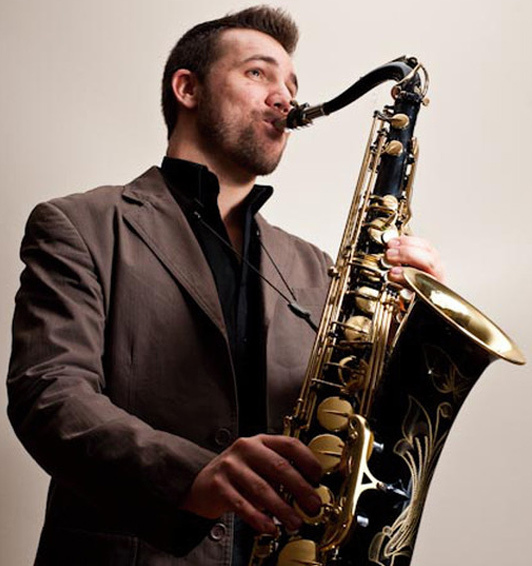 JP is saxophone teacher at the Central Coast Grammar School, woodwind teacher for the Central Coast Conservatorium Schools’ Program and he is the Band Director and Woodwind teacher at Green Point Christian College.